Robert C. McNair, the Founder of the Houston Texans, Chief Executive Officer and Senior Chairman passed away peacefully at the age of 81 on November 23, 2018. 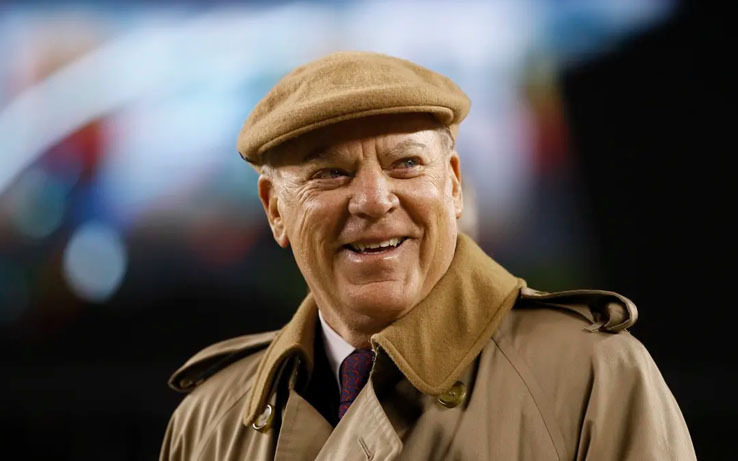 McNair, who in recent years went through radiation, chemotherapy and other experimental treatments, had been diagnosed with skin cancer and chronic lymphocytic leukemia nearly a decade ago. McNair was known as the man who brought professional football back to the city of Houston Texas. After a 29-0 vote amongst League owners, McNair’s idea was approved. He was then awarded the 32nd National Football League franchise on October 5, 1999. McNair’s love of community reached outside of football to a number of organizations. He and his foundations have given over $500 million dollars to organizations that range from science to religion. A McNair Campus or Hall isn’t hard to find around the city of Houston. McNair was a family man, a widely successful businessman, a philanthropist, and saw to it that his franchise afforded opportunities to qualified and talented black individuals. Not because of their ethnicity but because they were the best candidate for the job. In addition to Smith, McNair worked with Kevin Cooper who functioned as the Texans’ Senior Director of Media Relations after Tony Wyllie, former VP of Communications left. Currently, the Texans Media team holds the league record for the NFL’s Pete Rozelle Award for their outstanding media relations. It is no secret that McNair met a fair amount of controversy during his tenure in the league, including, but not limited to, his statement regarding the national anthem protests, his issues with Duane Brown, his support of his friend and former Carolina Panthers owner Jerry Richardson, and his dislike of the Obama presidency as he remained a staunch supporter of the Republican party. There is no telling how much of the rise in misguided controversies that happened in the last decade was directly tied to his age/failing health but it certainly has added serious blemishes to his legacy. Regardless of the reason, everyone remains accountable for the things they do and say. The truth is, of course, blemishes are only spots on the skin of a legacy and cannot possibly tell the whole story. In the end, integral members of the Texans operation expressed only gratitude. Watson went on to say that the McNairs looked out for his mother, Deann, who has battled tongue cancer. The Texans held a pregame tribute to the late McNair that included the Texas A&M cadet choir singing a rendition of “Amazing Grace” while a video tribute played. Shots of fans holding up signs thanking McNair could be seen on the jumbotron as the cell phone lights illuminated a darkened stadium. The turf was sprayed with a football that had McNair’s initials “RCM” inside. That same image was mirrored on a decal worn on the helmets of the players. The family has requested that memorial donations be made to the Houston Texans Foundation or a charity of the donor’s choice in lieu of flowers. Houston Texans Foundation donations can be made at houstontexans.com/foundationdonation.